Is it wrong to dredge up the past? Is it slander to expose what others have done to hurt us? On the surface, some would say it’s not the “Christian” thing to do. After all, are we not advised to turn the other cheek when someone slaps us? Aren’t we called to forgive the offense and bravely press on? What is accomplished by exposing someone else’s sin? Shouldn’t we protect their good reputation instead of airing out their dirty laundry? I confess there are times I will cover over my wounds in an effort to protect those who’ve sinned against me. It seems respectful and “Christian” to do so, but God took me below the surface and showed me it was in fact the opposite of following in the footsteps of Christ. When Jesus visited his closest companions after his resurrection from the dead, he did not hide his wounds from them. In fact, he exposed the holes in his hands openly in order to prove to them who he was. In effect he was saying, “look at what the sins of others have done to me.” Was that slander? Was it unnecessary exposure for the sake of getting even? Not in the case of Jesus. How do I know? Because even as they were pounding his body with their sins, he forgave them. Jesus was not uncovering his scars in any effort to hold back forgiveness, for it was already granted. Forgiving, therefore, is not hiding our wounds. If Jesus had kept his hidden, his friends would’ve doubted his reality. Jesus was known to his friends by the wounds he willingly exposed. In the most intimate relationships, everything is open and laid bare. For the word of God is living and active and sharper than any two-edged sword, and piercing as far as the division of soul and spirit, of both joints and marrow, and able to judge the thoughts and intentions of the heart. And there is no creature hidden from His sight, but all things are open and laid bare to the eyes of Him with whom we have to do. (Hebrews 4:12-13). God uses his word to draw us closer to him, Jesus honored his closest friends by allowing them to touch his wounds (1 John 1:1). Are we willing to let God open our wounds? Do we let others come close enough to see our scars and admit to them, “this is what the world did to me?” And what is the motive if we do expose the scars we carry? “This is where they took out the cancer,” a friend confides as she lifts her shirt. “A reminder of my DWI days,” another jokes as he explains his twisted limb. “My mommy gets mad sometimes,” a child is coaxed to admit when the bruises no longer pass for normal playground mishaps. Some wounds are easier to share than others. Some go undetected for years they’ve been so skillfully buried. “I keep having these nightmares,” she finally confides to a therapist. “I know it happened, but I don’t see the point in talking about it now,” another evades the topic. Sometimes we tell the wrong people who abuse our trust and it makes it hard to be intimate with anyone after that. And so we live with wounds that no one else is admitted to see or touch as we isolate and insulate ourselves from others. There are, after all, many ways to hide the scars. How beautiful that Jesus not only exposed his own wounds and invited his friends to touch them, but he was also willing to touch the imperfections of those around him; healing lepers, deaf ears, and blind eyes. Sometimes all we need to heal is to trust someone enough to see our scars. God is saying, “it’s okay, show your scars.” Yet confronting those we love but have hurt us deeply is difficult. If love covers over a multitude of sins, why bring up their sins? Why not keep the scars they gave us hidden? What will happen if they’re shown the wounds they inflicted upon us? Has Jesus kept his hidden? When confronted with sin, the humble are left to deal with their shame and seek forgiveness in the interest of reconciling the relationship. The prideful, however, will claim they have not sinned and blame the one who confronted them. Our weakness may hold us back from such confrontation, but if Jesus trusts us enough to discover the effects of our sin, we should do likewise with those we love—regardless of the consequences. God was willing to reconcile all men at the cross, but not all men are willing to see their sin there. We do no one any favors by not giving them opportunity to acknowledge their sins against us either. We are instead, opening the way to express our forgiveness toward them and invite them to greater intimacy in a reconciled relationship. When we touch the wounds of Jesus, we are not merely looking at what Roman soldiers did to him. If you believe your sins were forgiven because of the blood of Jesus Christ, then no doubt you’ve seen your own misgivings causing the holes in his hands and the gash in his side. It makes his words of forgiveness toward you even sweeter. He didn’t exclude you by hiding his wounds from your eyes, for it was by his Spirit you were drawn there to see your words and actions causing the pain he endured on the cross. As you sobbed at his feet, he lifted your head to look you in the eye and whisper, “your sins are forgiven.” This is the pattern of a healthy and intimate relationship set forth by our Creator, because no one is ready to meet God until they first acknowledge the effect of their sins upon him. Likewise, no one really knows the gift of another person until they see their scars, even if some of those scars were caused by you. Joy to the world, the Lord is come! Let earth receive her king. Jesus was born to be king. Let earth receive her king. To say “I’m saved” means to acknowledge the victory the promised Messiah gained for us over the power of sin and death. Sin can no longer rule my body because it is no longer my king. Jesus is my king. Jesus is Lord and so I bring every weakness to the cross to be put to death and allow the lordship of Jesus Christ over it. In this I am asking for his kingdom to come. It’s made clear in Acts 2:24-36 that Jesus was enthroned as king in the first century. The nature of his kingdom is spiritual because those who enter it must first be born of Spirit (John 3:3-7). When we come to Christ, we come into his kingdom whether we’re sitting in a church pew, in a prison cell, still struggling with an addiction, or sitting at the computer. I don’t think I’d be challenging any Christian reader by saying that at the moment we were “born again” we became children of God. We thus become sons and daughters of a Father who wants to give us good gifts to be used in His Kingdom. These are present promises, otherwise, what does it mean to pray in the Spirit or participate in the divine nature (2 Pe 1:4)? But how much power do we really have as sons and daughters of God? If we have been transferred from the kingdom of darkness into the kingdom of light, then the promise is that we do have this power, this dominion, this authority right now. This is an amazing reality for the believer. Really? I have the divine nature in me? I have the fullness of God and the power to overcome even death? What a precious privilege to be called a child of the living God! I believe, yes, by God’s mercy and grace, I have faith. But I pray “let your kingdom come” because I am aware of areas in which I have not yet yielded to his lordship. In those I am praying “I have faith, help me where I lack faith.” It started with a question that ran through me one night as I was praying. It whispered, “If I take it on faith that my sins were nailed to the cross with Jesus, why do I not have the same faith that he also carried my sicknesses?” Apparently if I get cancer, I can trust he carried it already. It is nailed there and I do not have to accept it in my body any more than I have to accept the rejection I used to carry but gave to Jesus (Is 53:3-4). I don’t question my salvation. Something within me responded to a story that a man died on a cruel cross to take the punishment I deserve. I believe. I also take it on faith that Jesus carried my rejection on that cross according to Isaiah 53:3. But it’s in the next verse that God is challenging me. My mind accepts a teaching in the Bible but it hasn’t reached me to the level of faith….yet. God has caught me at the intellectual level before, and I know what comes next. He wants me to receive it without any more doubt from a revelation of His Spirit. I wait in prayer. “He carried our sicknesses.” My mind is suddenly fixed on that, so God’s Spirit prompts the question, “do you trust it?” No, I admit it, I haven’t. And I become aware that God’s about to teach me something as I live in His kingdom. If someone asks me to pray for them, I do. Have I prayed for the sick? Yes, I have. There’s a mustard seed of faith involved in that. Unbelievers will tell us how ridiculous it is to pray for anything at all, so just the fact that I do pray is faith. However, when someone approaches me with a case of a loved one who has been given a few months to live, when I pray it is more a prayer of hope rather than faith. I hope God will heal them, but I don’t have faith that He will. What do I mean by that? I accept that the disease has already won when my prayers are centered only on the family finding peace through it, or receive financial support for their medical bills, and the sick one be given strength to endure the pain but neglect that God can really heal what doctors have called impossible. Can I really trust a miracle by the power of God or do I only hope for one? My faith has been lacking. Why? Perhaps you’re thinking that I have a problem in my faith that you don’t. That may be so. If that is the case, I am happy that you and the Lord have worked out this issue already and I would appreciate your prayers in my behalf. But before you proclaim your faith in God’s ability to heal through prayer, let me pose some questions that God has brought to my attention on this topic. What is the evidence of real faith? If I really, really, really believed in God’s miraculous power to heal, would I make a public spectacle of that faith by laying hands on the sick one and commanding in the name of Jesus, the King of kings, that the sickness has been nailed to the cross and has no dominion over their body? My pride whispers “if you do that, everyone will see it and you’re going to look really stupid when this person isn’t healed.” When I am praying with a “what if” attached, that tells me I do not have the kind of faith to move mountains. It is so much easier to go into my prayer closet and simply pray. I can say in honesty that I did pray, but was it in absolute faith that God could perform the miracle? It takes a lot of faith–maybe insanity–to lay hands on a sick person and put your reputation on the line by commanding the sickness gone. There’s also the fear of dragging God’s name through the mud in the event that the sick one is not made well. As a representative of his present kingdom, I don’t just worry about my own pride, I worry about making him look powerless. But shouldn’t I just leave that with God? Isn’t that what faith is? Complete trust in our reigning king? Oh! Let your kingdom come! As the perfect son of God on earth, Jesus healed the sick. With a word or laying on of his hands, people were made well. In Matthew 8:14-17, Peter’s mother-in-law was ill with fever and with the touch of his hand, her fever left. This was to fulfill what was spoken through the prophet Isaiah, “He took up our infirmities and carried our diseases.” (Is 53:4) Yes, but that was Jesus. I can’t lay hands on someone and pray away their fever can I? As I ask it, a whisper reminds me that I also am a child of God. Who is it that taunted Jesus by saying, “if you are a son of God….” and then challenged his miraculous powers (Matt 4:1-11)? The tempter demanded a miracle but Jesus would not display one for him. I have noticed this same accusation right within the church. As members debate the existence of gifts of healing, for example, sometimes accusations fly as to who is really “a son of God” and demand to see miracles on the spot as proof saying, “if you believe in these gifts, then come over here and heal this disease I’ve dealt with for the past 12 years! !” My question to those who disregard the gifts is that if they don’t believe in them, why do they pray for the sick at all? What power are they relying on? And as regards demanding a sign, isn’t it hilarious that right after Jesus performed a miracle in sight of the Pharisees they accused him of demonic possession and then demanded a sign (Matt 12:24, 38)? I once sided with the Pharisees and spoke the latter. I was suspicious of those “charismatic freaks” who claimed to heal, but Jesus knows my every thought and he is causing me to question why they are in my mind at all. Am I a child of God? Yes! Have I been given authority in His kingdom? Yes! Are all things possible with God? Yes! Does God give good gifts? Yes! Then why would any of us, especially God’s own children, question miraculous healings and attribute them to demons? The first century approach to miracles was no different than today then was it? I choose to say “Praise God!” I do believe the kingdom of God has come upon me then. Or at least it sure is trying to because I admit to this little shred of “things seen” clinging to my spirit that wants to justify the miracles….“well that was just a coincidence….that happened because of this…..” I want to give in to FAITH here and I know how vulnerable that makes me, but it is the heart of flesh that sees God and not the heart of stone. I believe, yes, but I am asking God now to help me with my unbelief. 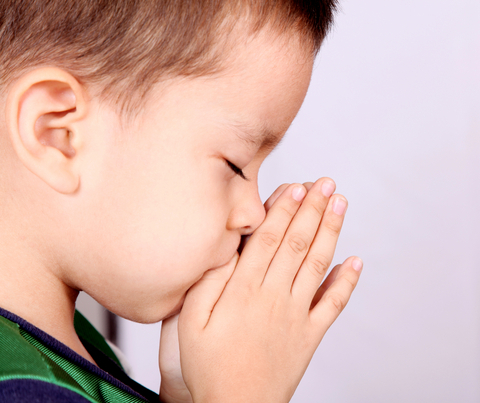 I have prayed too often “if you can….” I want the kind of faith that makes me appear stupid. The kind of faith that gives no concern for my reputation or pride. The kind of faith that prays believing in miracles. Yeah…like that. That kind of faith. Not the “if you can” faith that Jesus condemned. The King of kings commanded the spirit of sickness out and when the spirit saw that authority, it convulsed and violently came out. Does the prayer of hope do that? No, the prayer of complete, authoritative faith does that! Oh! Let your kingdom come! As Jesus continued to represent God on earth showing the power in his kingdom, people marveled that God had given such authority to men (Matt 9:8) Christians don’t doubt that Jesus was given all authority while on earth, but we too often forget that he conferred on to us, the sons of the kingdom, the same authority. He called his twelve disciples to him and gave them authority to drive out evil spirits and to heal every disease and sickness (Matt 10:1). If this authority was given only to the first century disciples, then how do we pick and choose what other promises were only for them? Did Jesus suddenly take a break from being king? His kingdom is an everlasting kingdom for all generations of those he’s made righteous through faith (Ps 145). Yes! Joy to the world, the Lord is come! Let earth receive her king.